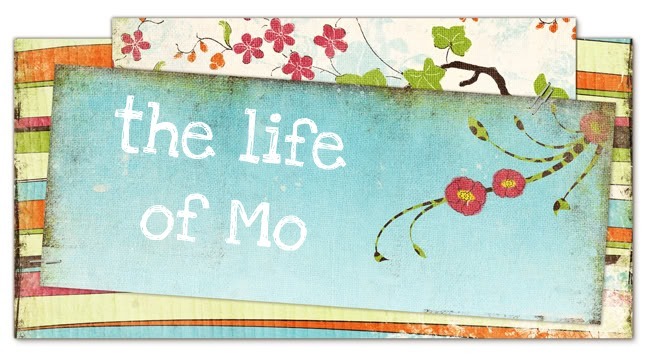 The Life of Mo: Piper is one! I feel like I should say this year has zipped by, but it didn't feel that way. I think we really got to enjoy this year, with each season and phase, even though going from one kid to two was much, much harder for me than I expected. Nonetheless, Piper is a great little girl. So what's Piper like at 1? She LOVES food. Any food. She will steal it off your plate at any opportunity. When I was planning her birthday dinner I asked Matt what her favorite food was. His reply: "Food." So true. For her birthday we went with macaroni and cheese, mashed sweet potatoes, and peas. Her newest trick is giving a high five. It's super cute. Wait, no. Her newest trick is climbing the stairs. She went all the way up them yesterday, with me following behind her of course. We're going to have to order one of those baby gate fences to keep her off them because she is so fast! More pictures of birthday fun stuff to come. We're throwing a joint birthday ice cream party for both girls this weekend. And I made a really tasty cake for P's bday - I'll be sharing the recipe soon! It is so very special and dear that you got to enjoy every season and phase in this year with your girls. That is priceless! How quickly the years fly by -enjoying each and everyone is so important. It is so very special how you share about each of the girls and their special days and times. Something to treasure and share through the years. Thank you for sharing with us. Very thankful that I will get to see my two very special and very different granddaughters this weekend. What a party it will be!